There are two ways that you can prepare Form I-90. 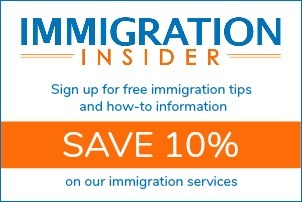 First, you may access Form I-90 from the USCIS website. You will also need to review the 10-page instructions from the same page. Although there is a USCIS filing fee (typically $540) when you submit Form I-90, there is no cost to obtain the form. Many people can prepare the form by themselves. However, mistakes and omissions can result in costly delays. Read more about the 3 big problems associated not having a valid green card. Alternatively, you may prepare the form online at CitizenPath.com. Our simple, step-by-step instructions guide you through the form and provide you with helpful information to assist you. If there’s a problem, CitizenPath will alert you. Upon completing the form, CitizenPath will provide you a copy to print and simple filing instructions customized for your situation. CitizenPath.com was created by immigration attorneys, and we guarantee that USCIS will accept your Form I-90. Try it for free. No payment is necessary until you are completely finished. Once you have prepared Form I-90, you will also need to gather specific documents and your payment to submit with Form I-90. 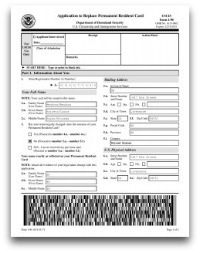 If you downloaded the form from USCIS, be sure to download the instructions as well. 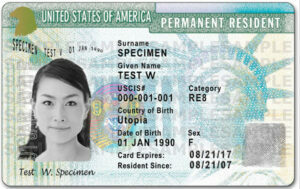 The instructions will detail the documents that should accompany your green card replacement. 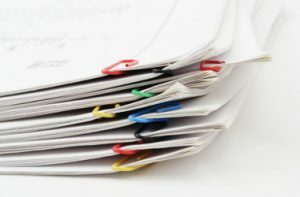 If you use CitizenPath, the filing instructions will provide a simple check list of documents for you to include. Regardless of which method you use, you will need to send a $540 fee to USCIS. In some cases, the fee is waived. See the pricing tab on the CitizenPath I-90 page for details. You may also consider using a cover letter to clarify your request. Find I-90 sample cover letters in our support center. Tip: Keep good records. Make a photocopy of your I-90 application and mail it to USCIS via certified mail. Within about two weeks of filing Form I-90, USCIS will mail you Form I-797C, Notice of Action. This “receipt notice” is an important document. 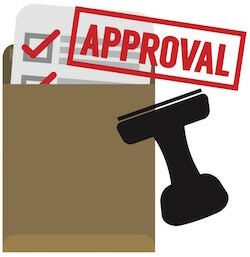 It’s proof that USCIS has accepted your Form I-90 application. It’s also evidence that you’ve started the process. Save this important document. The receipt notice also contains a receipt number. You can use the receipt number to track your case status on the USCIS website. Tip: If you file Form G-1145 at the same time as Form I-90, USCIS will notify you via email or text within 24 hours of receiving Form I-90. This is an optional form. When you prepare your I-90 through CitizenPath, we will prepare a free G-1145. Although you may travel during the replacement process, it is very important that you attend your biometrics appointment. Approximately 3-5 weeks after filing Form I-90, USCIS will mail you an appointment notice to attend a biometrics appointment at an Application Support Center near you. 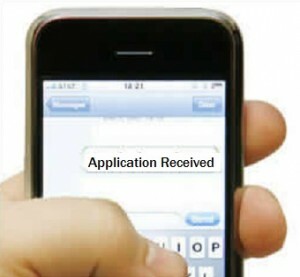 Take your appointment letter and any other items listed in the letter (especially some form of photo identification). The biometrics appointment includes of fingerprinting and taking your photo for your green card. Tip: Tell USCIS if you intend to travel abroad. If you’ve lost the green card, USCIS can provide an “I-551 stamp” in your passport as temporary proof of your permanent resident status. The stamped passport will enable you to reenter the U.S. after travel abroad. Read more in Risks of International Green Card Travel. Unless you have developed a criminal record or other complications since receiving your initial green card, your new card should arrive in the mail. If you do anticipate problems replacing your green card, please contact an experienced immigration attorney before filing. The entire process generally takes 3-5 months. For the best results, make sure you’ve prepared Form I-90 accurately and have included all of the necessary items when you file. Tip: Upon receiving your new green card, make a photocopy of both sides. Keep this photocopy in a safe place. If you ever lose your green card, you’ll have a photocopy that will make it easier to prepare Form I-90 with the correct information. CitizenPath is the online service created by attorneys that makes immigration forms simple. The website provides simple, step-by-step guidance through USCIS applications and petitions. The low-cost service helps to simplify the process by explaining each question and providing alerts if your answer to a question could be a problem. Most people do not need a lawyer to prepare USCIS forms, but many need a little assistance. That’s where CitizenPath can help. CitizenPath also guarantees that USCIS will accept your application. CitizenPath provides support for the Citizenship Application (Form N-400), Green Card Replacement (Form I-90), and several other popular forms.